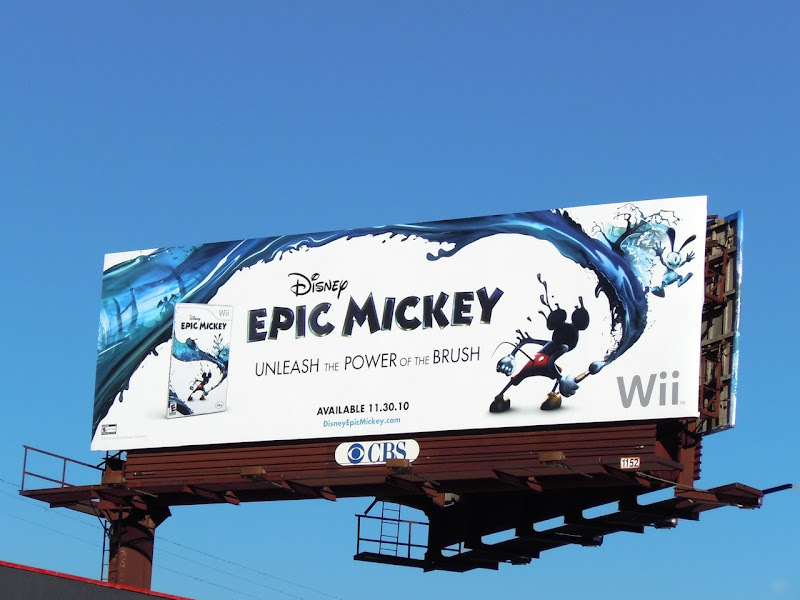 This simple billboard for Disney's new Epic Mickey Wii game really catches your eye as you pass by. 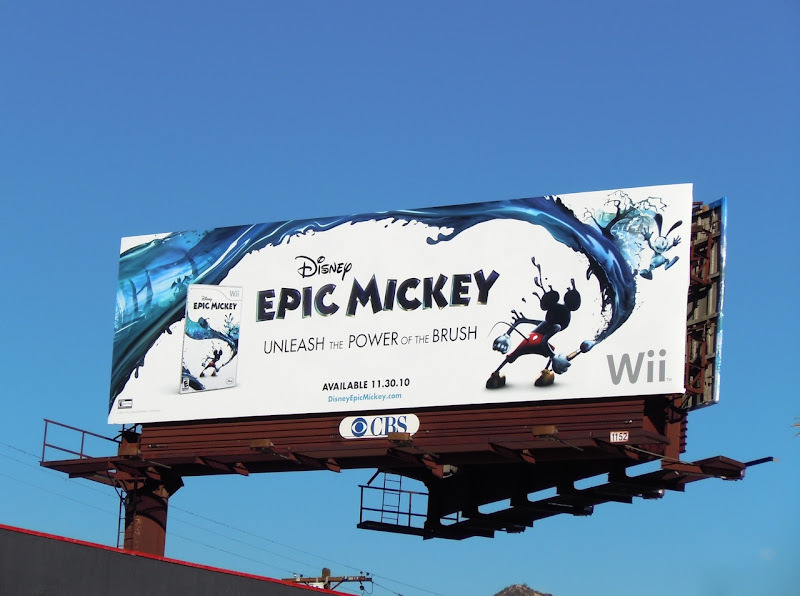 Daily Billboard is intrigued by the concept and the new, slightly edgier look for Mickey Mouse, but it's just a shame they had to show the game packaging on the billboard as it would have looked so much cooler and made more of a splash without it in DB's mind. This epic billboard was snapped along Highland Avenue in L.A. on November 27, 2010.